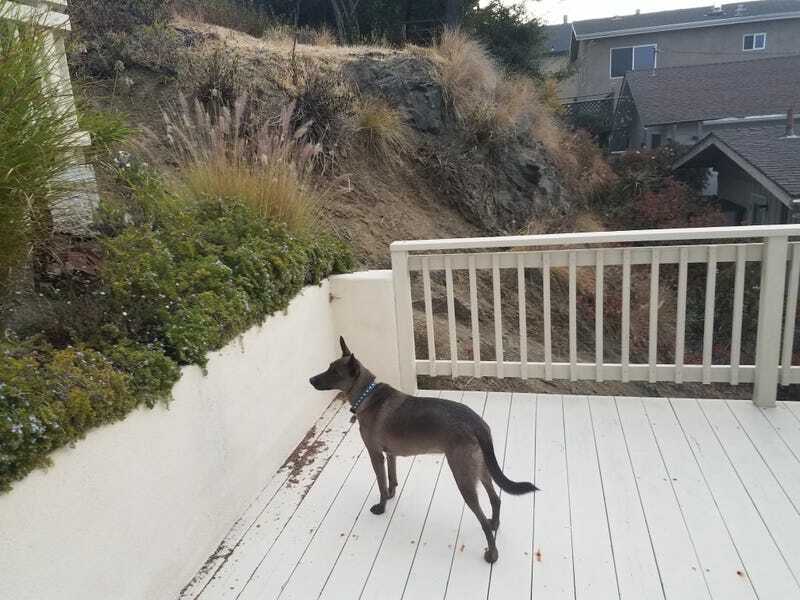 I am sitting on my mom’s deck in Cayucos, drinking coffee and watching Toby chase bees. I keep telling him this is a bad idea, but he is not listening. It may not end well. The Sport Trac comes home tomorrow. It will be my 16 year old son’s DD while we restore the T Bird. I told him yestersday that I am going to open a T Bird restoration savings account for him. He can put money in, and ask for X Mas, birthdays, etc from relatives to be put in there. I will control it, and he csn only use the money he puts in there for the T Bird. It can be hard to save as a teen. He is taking 5 AP classes and working very hard. I teased him gently about us falling behind on the car, and he said “Dad, if I don’t take care of school first, I won’t have a T Bird.” Automotive parenting works! My dad was funny about cars. He loved his cars, and back in the pre-Internet days he took car shopping seriously. He would take me and drive all over Southern California, looking visiting different dealers and playing them off each other. It was hard to do before Internet and cell phones. He wanted the best deal he could get on exactly the car he wanted. When he bought the Sport Trac, I asked him why he did not get 4 wheel drive. He said that he lived in California, and never went on the dirt, so he did not need it. He said he spent the money on the leather interior, which he would actually enjoy. The origin of my love for cars, especially Japanese cars, came from him. My father dipped his toe in the pool of GM malaise, and was horrified. He went Toyota (3 times), Acura (twice), Nissan, Lexus, BMW (Z roadster on a lease), and leased a convertible Mustang somehere in there. He liked the Mustang, which is why he bought a Ford when he decided he needed a suburban pickup. Sorry Oppo, I am babbling, as this truck brings back nice car memories of my dad. I wish he was here, because he would love my projects, especially the T Bird. Malaise may have made him turn his automotive eye to the east, but his heart was with classic American steel. He often said his favorite car he ever owned was a 1960 Impala. Apparently, toothpaste was great for polishing chrome. If there is a world beyond this one, he is driving that car right now. Mini-Oppo meet up! Lunch with CaptDale in SLO today. I will be driving the Sport Trac, and will fill you in on the quality of his choice of brewhouse. I best be nice to him, as I will need some local protection. SLO is actually a lovely town, but my God, it has the most annoying population of college students in the universe. I usually avoid it when school os in session.